Should the British Return the Stolen Rosetta Stone to Egypt? If 2018 was a year plagued by inconvenient truths, a reimagining of the art world fits squarely in line with new narratives that will continue to define the world order in 2019. As many nation-states around the world grapple with the aftermath of global moves towards conservatism, populism and justice in the digital age, their citizens are harnessing the power of technology to speak openly about issues of injustice, identity and equality that have long been percolating beneath the surface. And in the midst of this emergent culture, the art world seems — as it has been for so long — to be stubbornly disconnected from, and often out of touch with, these dialogues. Major world museums continue to perpetuate a colonialist paradigm with their frequent refusal to return artifacts that were stolen or otherwise acquired in an illegal or illegitimate fashion: during periods of occupation, colonialism and war. The starkness of this dichotomy is in part addled by cultural evolutions that are poised to continue in 2019. The Internet has catalyzed a culture in which people passionately argue about inclusivity on Twitter, where films like Black Panther and Crazy Rich Asians were designed to thrive in the global Hollywood milieu and where categories featuring "all male nominees" get called out during televised award shows — and yet there hasn't yet been a widespread cultural movement to address repatriation programs in major global art institutions. We live in an era defined by reevaluation and the exploration of alternative narratives like #MeToo. So why have patrons been slow to dialogue about transnationally oppressive practices in the art world? Some of this reluctance stems from the fact that the problem is complex and amorphous — there's no one single solution, and there is so much history, culture and identity wrapped up in the domain of art that decision makers in the space can seem beyond reproach. It's simultaneously an intensely local and an intensely global problem — niche communities urging restitution of specific objects exist all around the world, but they don't coordinate with each other. There's also a deeper consideration: Repatriation exposes uncomfortable truths about cultural identity that most people still don't want to believe, despite progress that has been made in other aspects of public opinion. Repatriation exposes uncomfortable truths about cultural identity that most people still don't want to believe. There's a collective reluctance to reconcile the reality of what is entertaining us at any given moment and we often choose instead to view culture writ large as somehow removed from politics, rather than a byproduct largely informed by it. And so the movement to reevaluate every prized artifact in the artistic canon has been a slow one because the act of doing so explodes bedrock assumptions about the populism of art. Museums have always flourished on the relics of destruction — war, conquest, genocide. But what happens when people realize that the objects they are conditioned to enjoy were stolen? And what will this mean as we move forward as a society? Currently, Western institutions in countries with imperial legacies remain at the center of these conversations about the surrender of sensitive objects: England, France, Germany and, to a lesser extent, the United States. The British Museum houses the Rosetta Stone, which they report was found in Egypt by Napoleonic troops during a conquest in 1799, as well as the Parthenon Marbles that Thomas Bruce, the seventh Earl of Elgin, took from Greece in the early 1800s when he was ambassador to the Ottoman Empire. Egyptologists and representatives from Greece now vehemently request their returns. The British Museum also houses 23,000 priceless artifacts in their China collection, some of which were looted from Beijing in the 19th century; a Gweagal shield that Captain Cook collected from indigenous Australians in 1770; and a controversial Hoa Hakananai'a statue from Easter Island. 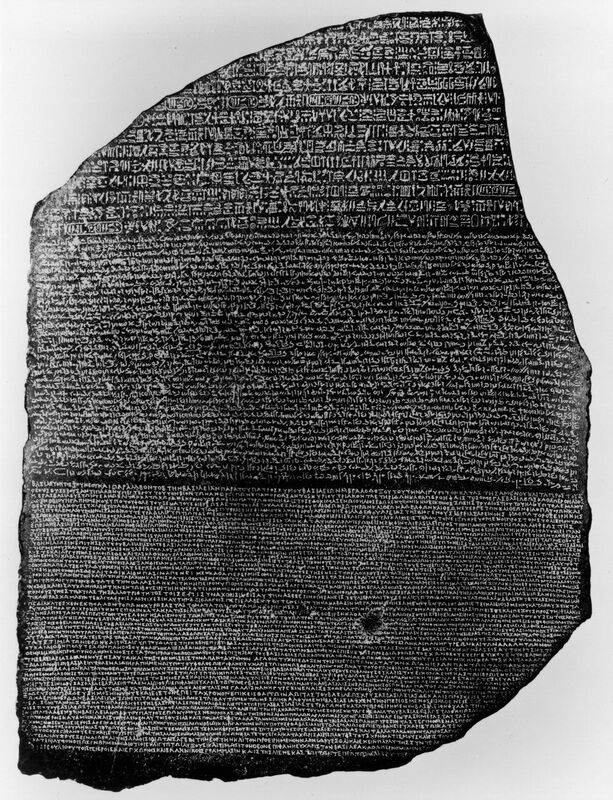 The institution justifies their ownership of items like the Rosetta Stone by stating that it "[allows] a global public to examine cultural identities and explore the complex network of interconnected human cultures" within the galleries, said a spokesperson from the British Museum. As of this writing, they have not currently publicized any plans for the return of any of those objects. Across town, the V&A houses priceless Ethiopian artifacts that were taken by the British Army during the 1868 Abyssinian Expedition — including a royal gold crown once owned by Ethiopian Emperor Tewodros II and a solid gold chalice that was a gift to the Ethiopian Orthodox Church in Gondar. These items are being displayed with increased transparency in a new exhibit called Maqdala 1868, which will run until July 2019. The exhibit, which lives in the V&A's silver galleries, was curated along with a statement that the museum configured to enable "a vital new understanding" of the collection's significance. "We want to better reflect on the history of these artifacts in our collection — tracing their origins and then confronting the difficult and complex issues which arise," the museum explains of the exhibit. "Even at the time, this episode [the British Expedition to Abyssinia] was regarded as a shameful one." Accordingly, they've annotated the display with a more critical view of Britain's past malfeasance — including present-day critiques from members of London's Ethiopian community. Still, the artifacts in Maqdala 1868 remain in the museum's possession, which seemingly amounts to the V&A having their cake and eating it, too. As Alice Procter, an independent tour guide and art historian who leads "Uncomfortable Art Tours" through some of London's most notable institutions, points out: "That thread does not carry through to the rest of the museum's galleries. There's no self-awareness in any of the other displays — so you have this one example of [the museum] going two-thirds of the way toward a thorough response while giving real, considered and careful thought to an incredibly violent and painful history… and then in the rest of the gallery, it's like it never happened." There's also the fact that the museum and others like it continue to address African objects in terms of their material value, rather than their cultural value. "There's this sense of 'African Treasures' — and they're always described as 'treasures' — that's definitely part of an enduring Africa fantasy that a lot of these museums are perpetuating," Procter notes. For the exploited populations, these objects often represent a stolen history that can constantly be rewritten by the perpetrators — as long as they retain the spoils. This is why, for many, repatriation represents the only true way to begin acknowledging past transgressions. The Louvre, for example, currently houses Egypt's Zodiac of Dendera, long believed to be the oldest zodiac in the world. Egyptian archaeologist and former Minister of State for Antiquities Affairs, Dr. Zahi Hawass, demands its return. As he points out, Egypt is already plenty accommodating to Western institutions. "We sometimes give our artifacts [to] loans and exhibitions...we open the country for Europeans to excavate and work; all of this is done willingly without asking for anything back," he writes over email. "Therefore, if we ask for unique artifacts to be in their home country, this is completely legal and reasonable." In Germany, meanwhile, the country's culture minister, Monika Grütters, along with the German Association of Museums, released a 130-page code of conduct for dealing with colonial-era artifacts in May 2018. "Museums have to realize," it reads at one point, "that colonial situations rarely ended with formal decolonization." The code of conduct also lays out a laundry list of specific objects that were procured under dubious circumstances, which are now property of the German state: ancient glassware from Syria, Samoan cultural objects, textiles from Guatemala, Chinese porcelain. The authors explain why their procurement was unfair — and yet still, these objects remain in German museums, along with high-profile artifacts like the Babylonian Ishtar Gate, which Iraqis want repatriated from the Pergamon Museum of Berlin, and the bust of Nefertiti, which Dr. Hawass and his fellow countrymen in Egypt would like to see returned from Berlin's Neues Museum. In response to Grütters' issuance, the Prussian Cultural Heritage Foundation returned nine indigenous Alaskan artifacts that were taken from a burial site in the 19th century. And, under Grütters' direction, the German Lost Art Foundation has also appropriated $3.5 million to support research into similar restitution efforts in 2019 — however, most of what is reportedly outlined in the code of conduct includes solutions like long-term loans and "joint custody" agreements that seemingly wouldn't result in permanent restitution. Plus, the guidelines are non-binding — though the German Association of Museums is currently soliciting feedback from other nations, including those filing complaints, and plans to publish a revised code in the future. 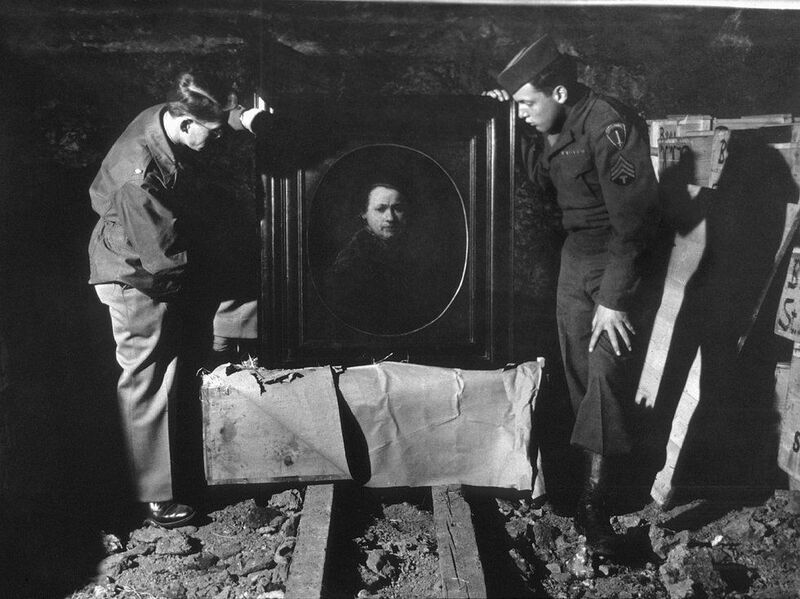 Just before this writing, however, Germany did successfully return a Nazi-looted painting to the family of a French resistance member who was executed in World War II. Thomas Couture's Portrait of a Seated Young Woman was returned in a ceremony held at the Martin-Gropius-Bau museum in Berlin. In a statement, Grütters highlighted the transaction as a cautionary tale, which may presage similar progress on Nazi-stolen art in the future: "This case," she wrote, "reminds us to never let up in the unreserved processing of Nazi art robbery for which Germany bears responsibility." Her response, both evolved and unforgiving of historical wrongdoing, is a model for the future. In France, Emmanuel Macron has recently become a vocal advocate for the repatriation of African artifacts for the same reason that Germany is leading the push to reconcile Nazi-era artifacts: a rightful lingering guilt over the nation's fraught past. 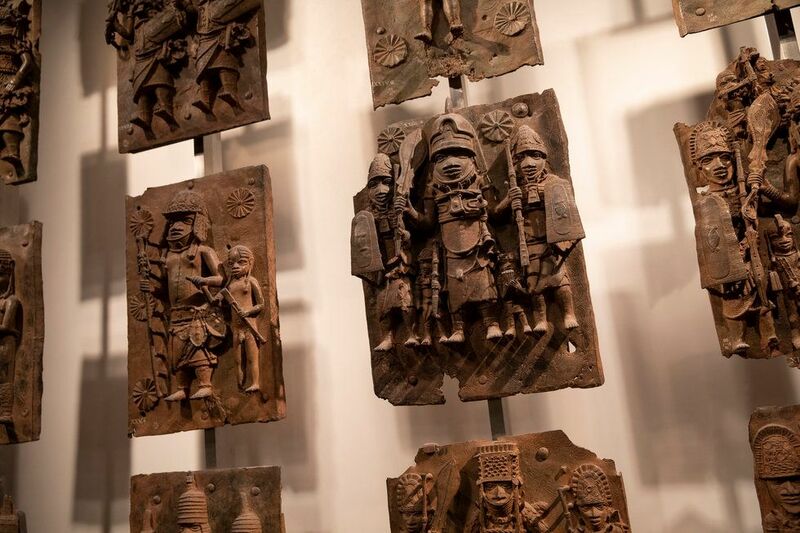 As part of an impassioned media blitz in November 2018, he announced his desire for France to return African artifacts like the Benin Bronzes (looted from the precolonial Kingdom of Benin, which is now Nigeria) back to the Benin Royal Museum, which is set to open in Edo State in 2021. (This news arrived not long after the Louvre was criticized for displaying European artworks stolen by Nazis, without making sufficient attempts to further the paintings' restitution.) In response, the British Museum followed suit and agreed to loan Benin bronzes from the same expedition period. A photograph dating to the 1800s of the Rosetta Stone, first discovered in Egypt. The piece is housed in the British Museum. "We feel [that the Macron announcement] is contributing to an important ongoing debate about our past and present relationships with Africa," said Sam Nixon, head of the Africa Section at the British Museum's Department of Africa, Oceania and the Americas. "But we are not viewing it with trepidation — this is something we want to engage with. Fundamental to what we do here is our partnership with Africa," he continues. "That partnership really does require being part of a wider network of institutions and experts — and looking beyond ourselves as an institution." The Benin artifacts will be repatriated through agreements that the museums and affected parties find mutually satisfactory, but it's too early to tell what, specifically, the arrangement will entail — or whether it will set a precedent for other European museums. Still, concerns about Eurocentrism and a colonial perspective on African art remain. 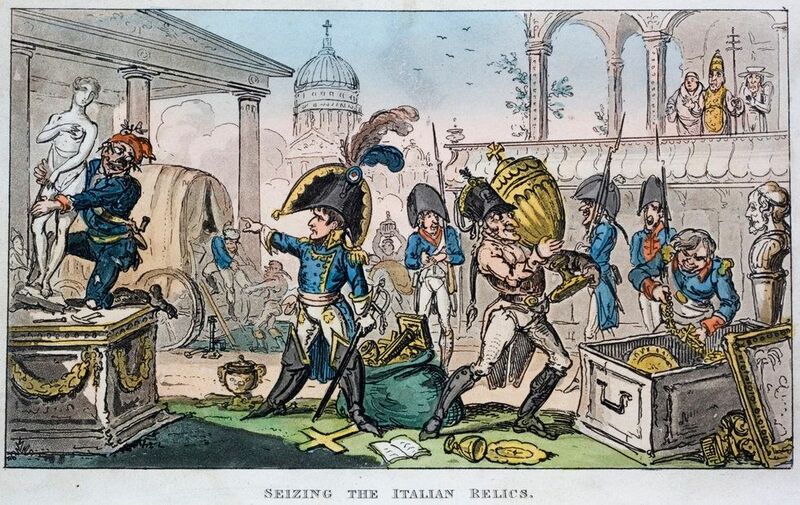 Z. S. Strother, Riggio Professor of African Art at Columbia, speculates that Macron's very narrow interest in restituting African artifacts (while showing none of the same urgency or focus on returning artifacts from elsewhere) might be part of a soft power move to remain in good graces within the regions of Africa where France wants to exert continued influence. As she writes in her recent column for The Art Newspaper: "The powerful lobby to protect works from Greece, Egypt and China need not fear. Sub-Saharan Africa is argued to be a case apart because of its cultural impoverishment." 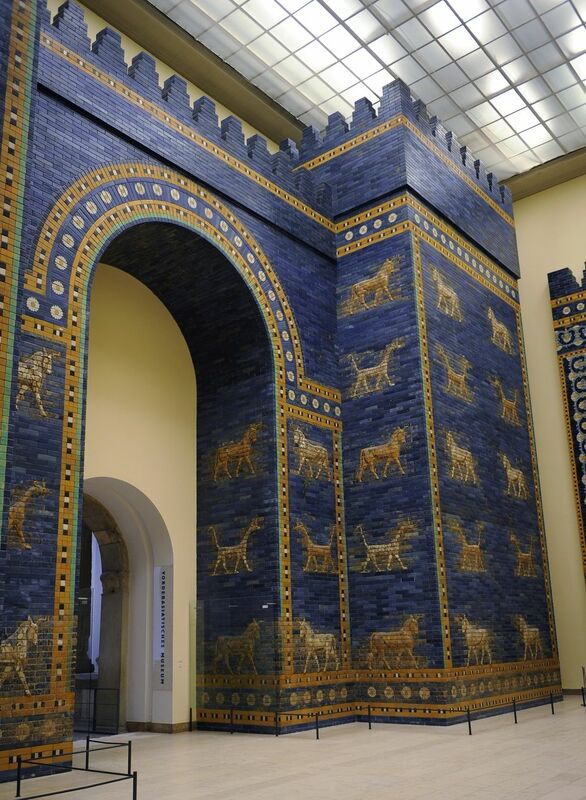 The Ishtar Gate, which was built in Babylonia (now modern-day Iraq) in the year 575 B.C. It is housed in the Pergamon Museum in Berlin. Culture ministries, moreover, are moving forward with very particular requests for repatriation, but museums themselves seem to struggle with calling these histories by their names. Critics also argue that maintaining control over these objects causes museums to perpetuate white fantasies about conquest that no longer hold up to scrutiny. As Procter writes in an op-ed for The Guardian that explains her tours, which focus on slavery and colonialism throughout Britain's imperial rule: "Museums are institutions of memory — they must stop pretending there's only one version of events and be willing to own up to their role in shaping the way we see the past." One of the few reasonable counterarguments museums are making addresses how expensive and potentially risky it could be to transport some of these priceless objects. 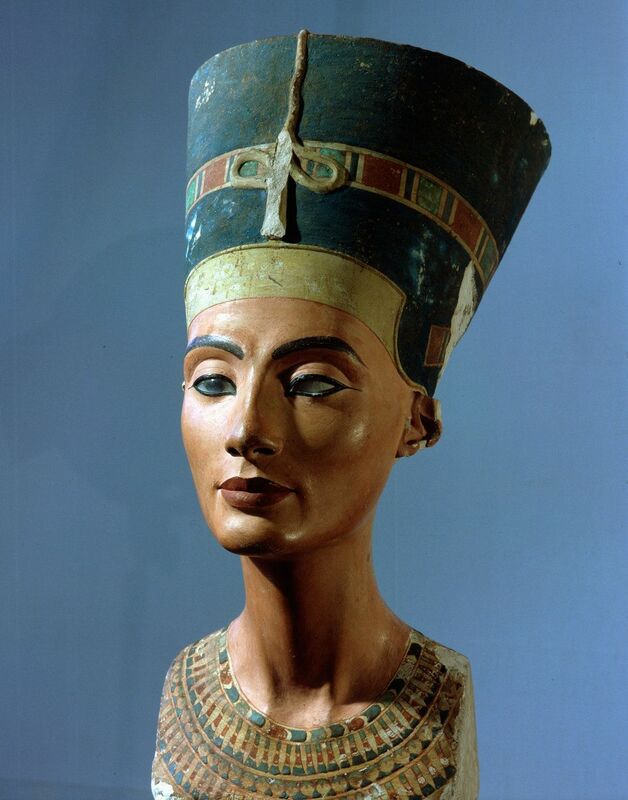 The Neues Museum, for example, once claimed that Nefertiti's bust was too delicate to transport back to Egypt (they've also claimed that it was acquired legally by the Prussian government over a century ago, but that's a point of contention). In a blunt riposte, Dr. Hawass retorts: "At the time that they said that, the former director of the Berlin museum [commissioned] a body for the bust, and he took the bust to the artist's house to put it on. How is it so delicate or fragile when this was done?" Hawass' reaction is shared by many activists who see arguments about fragility as a way to delay substantive dialogue. But along with arguments about the expense and danger of transporting these precious objects, there's also concern about what happens when they get to their destination — especially if that's in a country that may be experiencing instability and warfare. There are numerous recent examples of precious art and antiquities throughout the Middle East and elsewhere getting destroyed by war, whether at the hands of sectarian militias, terrorists or even Western troops. But what right do Western institutions have to determine another nation's competence at safeguarding what was once theirs? 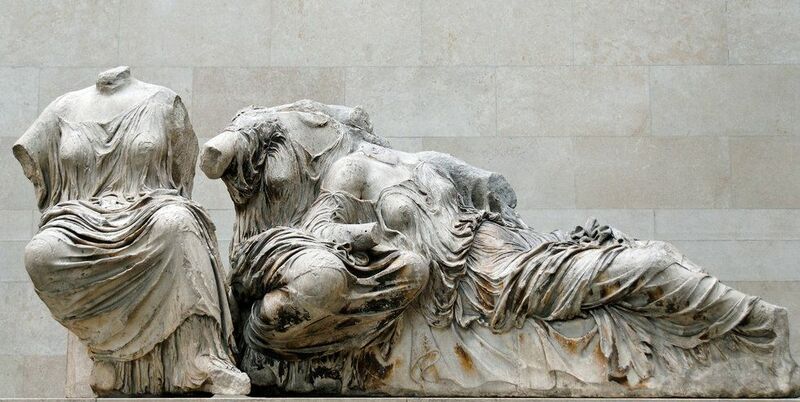 Does a rightful desire to ensure that precious objects from human history do not get destroyed slide quickly into paternalism when the act of preserving them for future generations compounds a global hierarchy? Many of the artifacts in question tell such powerful stories about humankind that they belong, in some sense, to the world — but they're also the byproducts of specific civilizations whose legacy will be determined by their fate. One counterargument museums are making addresses how expensive and risky it could be to transport some of these priceless objects. Today, auction houses seem to be placing more emphasis on accountability, and it's likely that they will become vital mediators in the future. Christie's, for example, issues guidelines for dealing with Nazi-era art restitution in their consignments that includes taking reasonable and appropriate action before objects are sold to prevent stolen objects from circulating in the art market — but there is currently no codified equivalent for art looted during any other occupations or periods of colonization, though a representative from Christie's notes that they adhere to bilateral treaties and international laws that govern cultural property and patrimony. They also "positively welcome and encourage scrutiny of our catalogs by museums, archeologists, collectors, law enforcement, and government agencies." The auction house was involved in the successful restitution of Gustav Klimt's Adele Bloch-Bauer I (also known as The Woman in Gold), which was stolen from its Jewish owners during Nazi occupation. We should applaud progress when it happens. Museums themselves, however, face a competing set of narratives and interests. Conservatives are haunted by examples like King Croesus' golden brooch, part of a collection of treasures known as the Lydian Hoard that was looted from Turkey in 1965. Once a prized artifact in the Metropolitan Museum of Art, the brooch was repatriated to the Usak Museum in Turkey in 1993 only to be stolen years later by a corrupt museum director who replaced it with a fake to pay off his gambling debts. Activists argue that the golden brooch incident was an anomaly that triggered a sea change in galleries throughout the Middle East. In many cases it's also difficult to trace the precise origin of an ancient artifact, as many arrive to Western galleries through private dealers. Still, the burden of proof in every request for restitution falls on the claimants. The net result is that Western museums continue to exert soft power over former colonies through acquisitions, as they ultimately get to approve or deny any requests for restitution. Shouldn't it be a museum's responsibility to prove that their acquisitions are legally theirs, rather than the other way around? Regardless, international galleries usually also have privacy gag rules that prevent third parties from tracing the origins of privately acquired works. So where does this leave us? While there's no consensus about how to deal with this issue on a global scale, museums and culture ministers throughout Europe have expressed interest in setting up loan systems —whereby sensitive artifacts would be "lent" back to nations of origin for special exhibits for a period of time that both the loaning and receiving museums deem mutually beneficial. Some critics argue, however, that this solution is not aggressive enough. "Long term" or "permanent loans", however, appear to be more favorable. "Long-term loans are repatriation in everything but name," Procter explains. They may seem like a loophole, for sure, but because the international community has yet to establish a transnational system for repatriation, they also present a major opportunity. We find ourselves now in the privileged position of being able to establish new rules that could transform museum conduct as we know it — but until a major consortium of museums decides to step up and establish a precedent, ambiguity will continue to define the issue. What is clear as of this writing is that continued inaction will only increase tension in the global order. Last year, against an increasingly hostile backdrop of foreign relations, China appeared to have hired looters to steal back their artifacts from Norway's KODE Museum, Sweden's Drottningholm Palace, the Fitzwilliam Museum at Cambridge University and the Oriental Museum at Durham University in England in a string of high-profile thefts. While there was no conclusive evidence tying these crimes together, Artnet News reports that robbers specifically targeted objects that were looted from Beijing's Old Summer Palace, and at least one artifact stolen from the KODE museum was found in an exhibition at the Shanghai airport. Norwegian officials declined to pursue the lead, fearing that doing so would critically damage vital foreign relations with China, but the event has only compounded hostility and resentment on both sides of the issue. Some also worry that galleries around the world will become too "nationalistic" if many famous pieces are returned to their home countries. Taken to its extreme conclusions, these arguments imagine a future in which instead of housing ancestor-trophy skulls from West Papua and Greco-Roman relics at the Met, visitors will only view Revolutionary War-era folk art, portraits by John Singer Sargent and Andy Warhol's silk-screen paintings. Rather than going to London or Paris for a taste of Egyptian, African or Asian art at the British Museum or the Louvre, tourists will instead have to travel to Cairo, Lagos or Beijing. China appears to have hired looters to steal back their artifacts. Ultimately, these arguments fall short and these scenarios are unrealistic, if only because museums still have every right to display foreign art acquired by lawful means — and much of it is. Still, the most high-profile examples of objects under scrutiny tend to be highly coveted works that drive visitors to galleries, like the Koh-i-Noor diamond, which was taken from India during colonialism and is now set in Queen Mother Elizabeth's crown in the Tower of London. For this reason, activists like Dr. Hawass would like to see every country send a group of scholars to raise the issue of repatriation to UNESCO in order to reach a consensus and educate the public. An international dialogue may also reveal that some global players just don't want to have to question their cultural institutions, for the same reasons people turn a blind eye to atrocities happening in other countries: because if we truly saw this issue for what it is, then we'd have to do something about it. In a society that proactively encourages change, many, nevertheless, don't want to rewrite history, much less the story of our entertainment and our access to art, because to do so would be revisionist and also mean that the prized artifacts that have for so many years shaped our understanding of the world order may no longer hold up to scrutiny. Then what? Since the Enlightenment, Westerners have used art as a prism through which to look out into the world. Yet displaced artistic objects will increasingly necessitate a long, hard collective look inward. What do these objects, and the histories and hypocrisies they represent, have to say about us? An artifact stolen from another culture tells a story about both the pillagers and the pillaged. The only question that remains for leading institutions in the art world is: What do they want that story to be? Molly Beauchemin is a writer and editor in New York City. She blogs about culture, lifestyle, and advocacy at Grace & Lightness.